Below you can view all the condos for sale in the Spring Oaks subdivision located in Las Vegas Nevada. Listings in Spring Oaks are updated daily from data we receive from the Las Vegas multiple listing service. To learn more about any of these condos or to receive custom notifications when a new property is listed for sale in Spring Oaks, give us a call at 702-323-5991. Perfect vacation home or great investment property for rental in this very desirable location. MLS#2089898. Las Vegas Realty Center. Full back yard includes grassy area, and waterfall swimming pool. Dog run and storage outside. MLS#2089343. Xpand Realty & Property Manage. The community has a jacuzzi, pool, clubhouse, fitness room, and is gated. A must see! MLS#2087927. 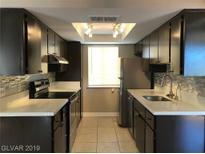 Keller Williams Realty SW.
Quartz Countertop, Fireplace, Stainless steel appliances, Kitchen backsplash, Two-Tone Paint. MLS#2089111. Nevada Real Estate Corp. 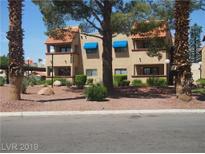 Convenient to the strip, Shopping and Restaurants!!! ! MLS#2087101. Atlas Group. Iron Fence Secured Balcony Area Provides Extra Storage Room. MLS#2085400. Realty ONE Group, Inc.
Transaction also includes the Washer & Dryer, kitchen appliances, and various other upgrades throughout. MLS#2084159. Winning Realty. 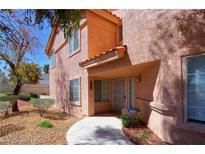 Close to shopping, restaurants and the Las Vegas Strip! MLS#2084121. LIFE Realty. Two F/P: 1 in MBR and master bath (two way) and downstairs in family room Full length balcony MLS#2083537. Elite Realty. Community pool and spa with clubhouse. MLS#2082424. Marshall Stearns Real Estate. Close to I-15 and Fashion Show Mall. THIS IS A MUST SEE! MLS#2079871. Compass Realty & Management, L.
There is a place for RV or Boat parking, car washing and community laundry area. MLS#2078700. Urban Nest Realty. 5bd/3ba Corner Lot Sitting Quietly In Ctr Of Boutique Community W. Extra Parking; Balcony Overlooking Sparkling Pool/Spa, Half Basketball Ct, Decking, Bbq; Sound System, Upgraded Flooring In Living Rm; Granite Countertop In Spacious Kitchen, Ro System; 1bd/1ba Down; Grand Loft; Master W. Retreat & 2 Wlk-ins; Extended Garage; Extra Insulation & Electrical Thru House; Landscaped & Paved Yard; MLS#2077547. BHHS Nevada Properties. Call me today and make this your home tomorrow. MLS#2071021. Compass Realty & Management, L.
Quiet gated complex with clubhouse, workout room, and well-maintained landscaping! MLS#2069315. New Castle Realty & Property M.
Great 2 bedroom condo, Gated community with pool, No carpet, Great floorplan, Convenient location. MLS#2055189. Nevada Real Estate Corp.
Upgraded built-in closet organizers, surround sound Will go fast! Too many items to list MLS#2050667. Urban Nest Realty. GE stainless steel kitchen appliances Maytag washer and dryer MLS#2038860. Century 21 Gavish Real Estate. Perfect "green" luxury living and multi-gen floorplan! MLS#2037447. ERA Brokers Consolidated. Dividing wall separates room for private bedroom area. MLS#1995254. Aloha Properties. Hidden Gem Takes This To This Top Of Your Your List*fresh Paint Emphasizes Open, Airy And Spacious Floorplan*large Living With Vaulted Ceilings & 2 Sided Fireplace*dining Room Open To Oversized Kitchen*large 2ndary Bedrooms*master Has Mirrored Doors To W/I Closet, Double Vanity & Large Shower/Tub W/ Balcony*private Garage Located In A Great Community Loaded With Amenities & Conveniently Located Close To The Strip/Shopping/Entertainment* MLS#1971135. Turn Key Property Solutions. Nicely Remodeled Downstairs End Unit; Easy Access; Next To Chinatown; Covered Assigned Parking; Plenty Of Guest Parking; Hoa Fee Includes Water (hot And Cold), Trash And Sewer MLS#1932922. Realty ONE Group, Inc.